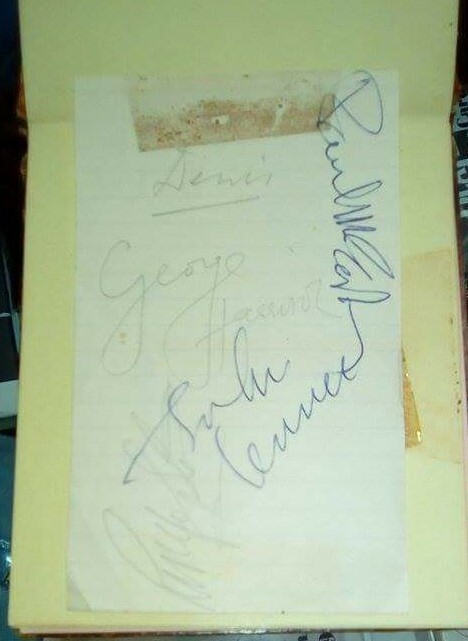 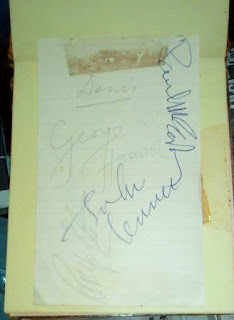 Mersey Beat cover Signed by John, George and Pete. 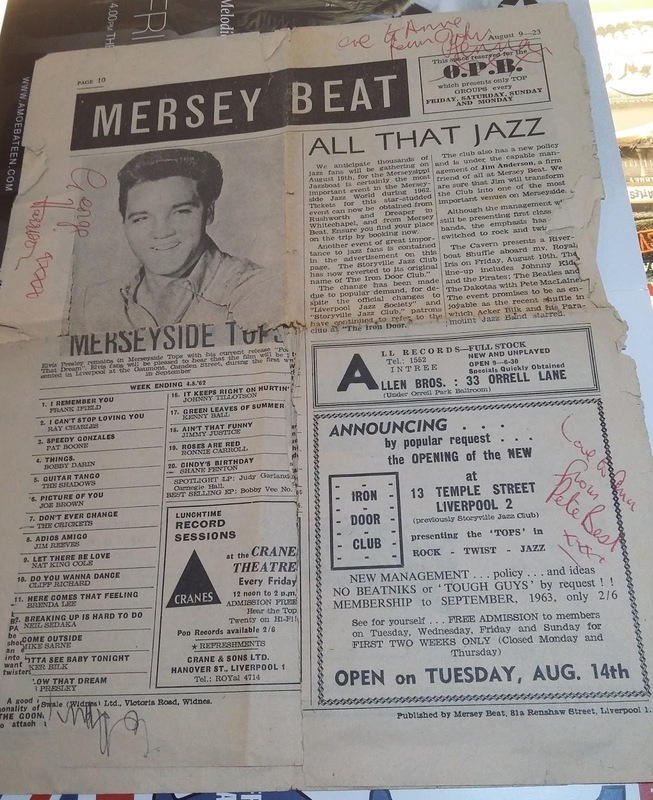 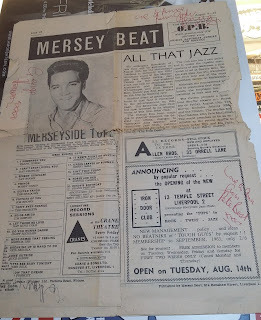 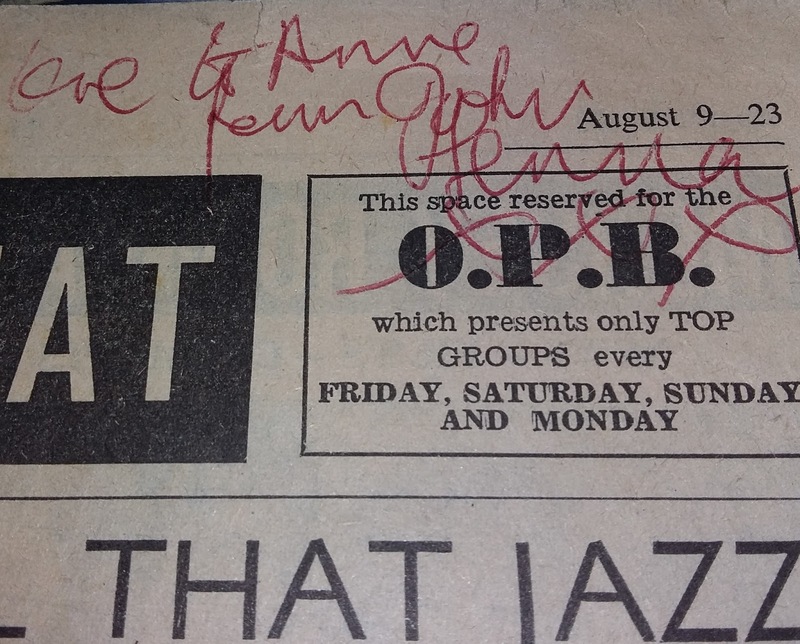 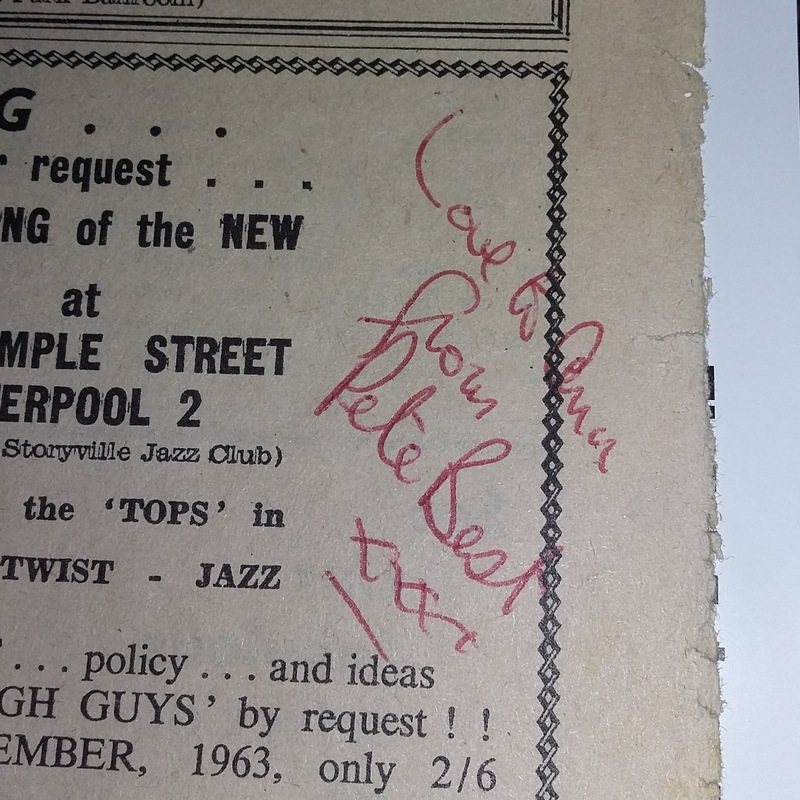 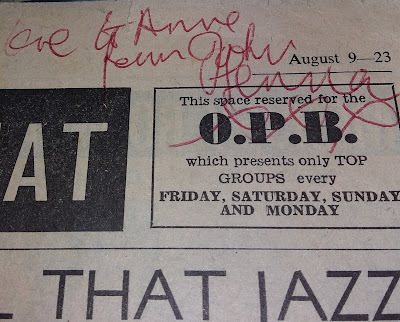 This Mersey Beat cover is signed To Anne by John Lennon, George Harrison and Pete Best. 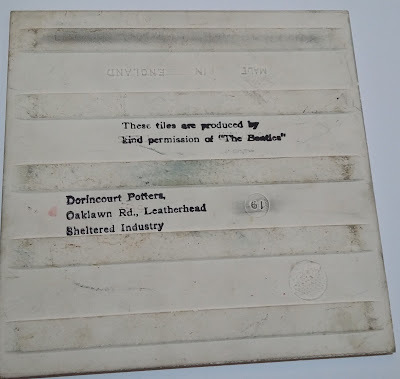 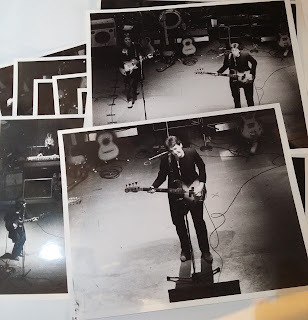 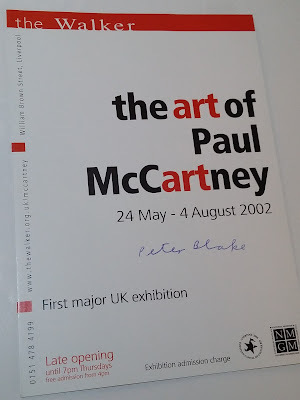 The item comes with letters explaining not only how they were obtained on the Royal Iris for the Riverboat Shuffle shortly before Pete left the group, but also why there is no autograph from Paul McCartney. 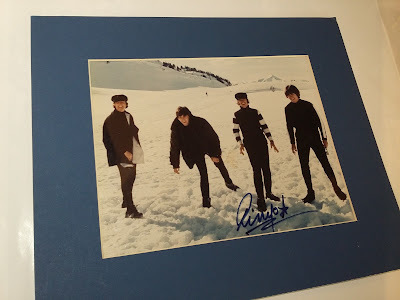 Sadly the person who got the signatures was made to cut Paul's autograph off the page and give it away. 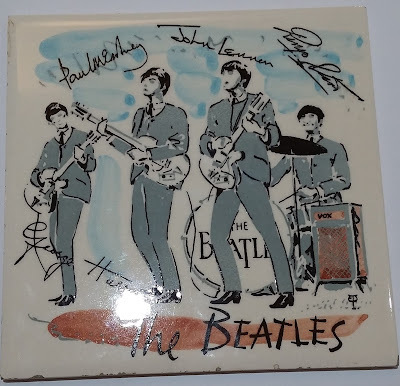 This full colour tile depicts the whole band and was part of a range which included five designs, the other four featured individual Beatles. The reverse of the tile carries the manufacturer's details. This August marks the fiftieth anniversary of the death of the Beatles' manager Brian Epstein. 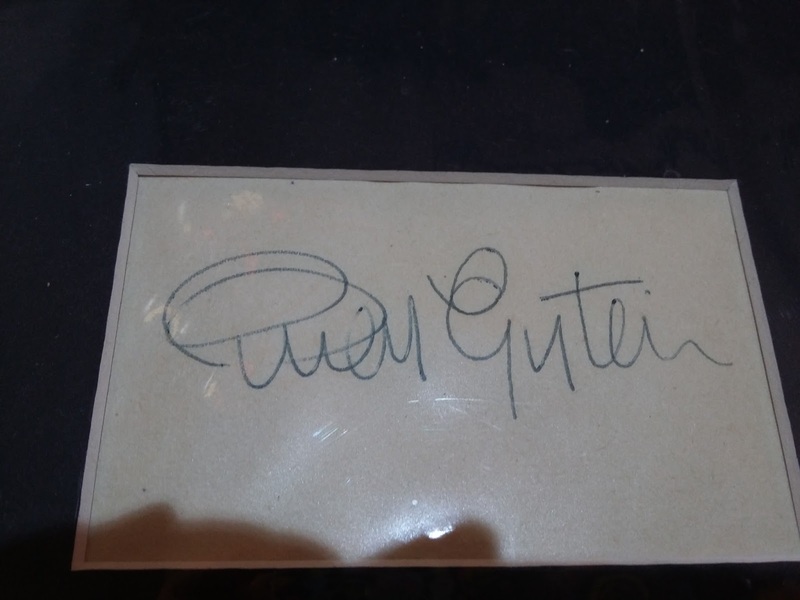 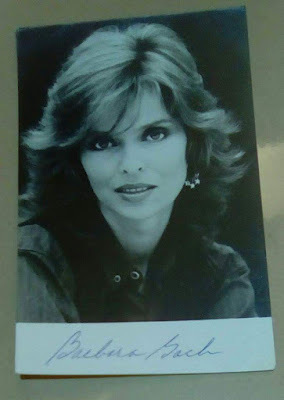 We don't often see Brian related items, but obviously fans knew who he was and asked for autographs. 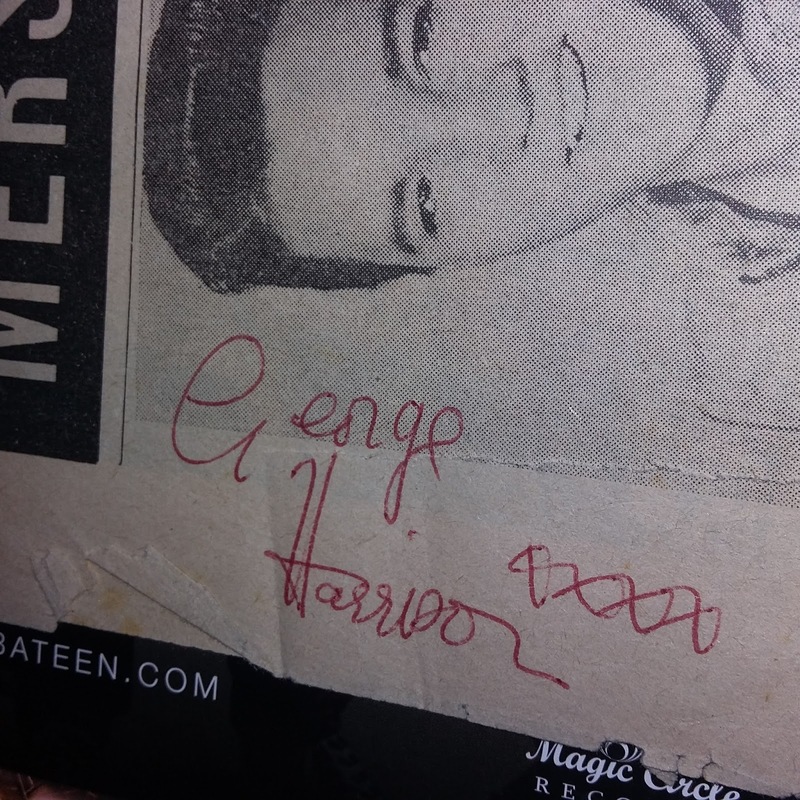 This autograph is mounted with a black and white photograph of Mr Epstein. 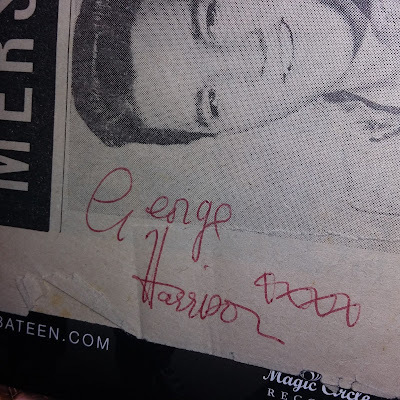 Ringo autograph in blue felt tip on a photograph on the Beatles while filming Help. 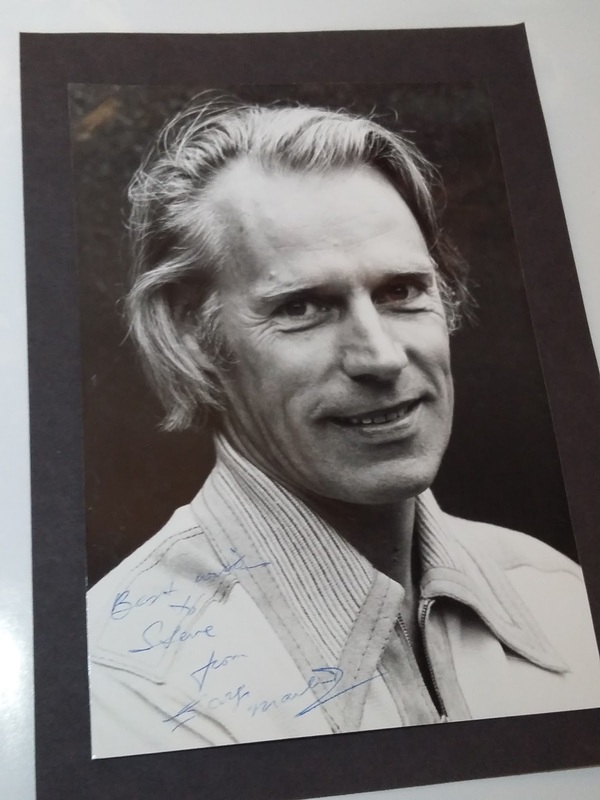 A signed 8 x10 of Beatles Producer George Martin. 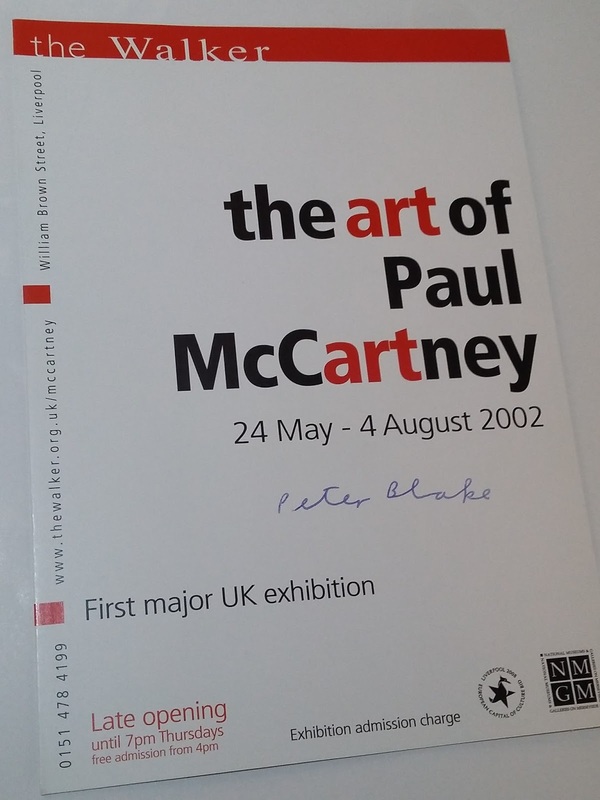 Peter Blake famously designed the Sgt Pepper's cover and that album reaches a Golden Milestone this year.